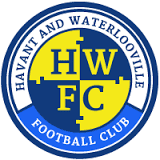 It's no surprise to see Havant and Waterlooville favourites for the Ryman Premier Division title at 7/2 with bet365.com. Relegated from the Vanarama South division at the end of last season - Manager Lee Bradbury has recruited a number of impressive players such as centre-forward Jason Prior from Bognor Regis Town. A word of warning for fans of The Hawks is that this time last year the bookmakers had three teams as favourites just prior to the start of the season being Hendon, Staines Town and Dulwich Hamlet at 6/1. Hendon finished 19th after flirting with relegation, Staines Town in 16th and Dulwich in 5th place. Title winner's Hampton and Richmond were rated at 25/1! H&W will certainly be the team many others will want to beat this season. Their opening four games are away at Leiston, at home to Leatherthead and then Folkestone Invicta and then a trip to Imber Court to play the Met Police.